Cannabidiol (CBD), the main non-psychoactive chemical compound found in cannabis, has been gaining praise recently for its long list of medical benefits. People suffering from physical pain, depression, IBS, and other conditions are finding relief through the use of CBD. Research and consumer feedback now indicate that it is possible to lessen symptoms of anxiety through the use of CBD. A considerable amount of CBD’s appeal could be due to the compound’s non-psychoactive elements. 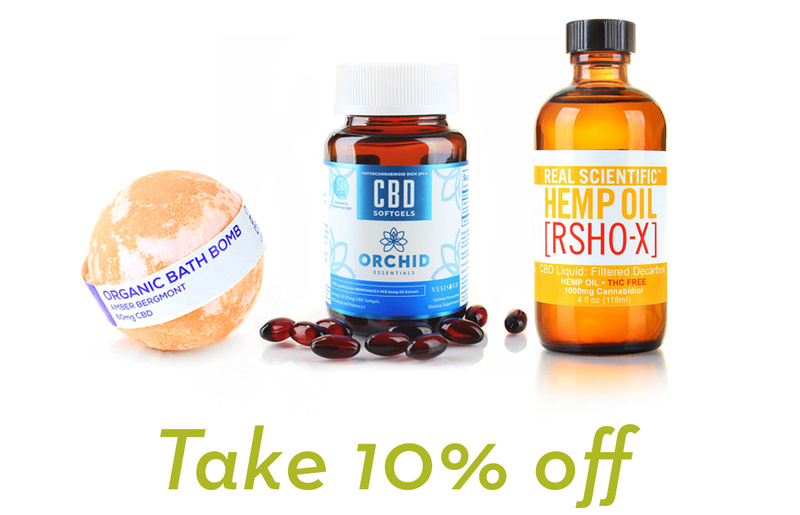 Non-psychoactive properties mean that consumers cannot get “high” from taking CBD. Mind-altering effects, prevalent in THC (Tetrahydrocannabinol), will not occur through the consumption of CBD. No form or dose of CBD will create the euphoria associated with the “high” consumers get from cannabis. Although researchers are still trying to pin down CBD’s exact effects, numerous scientific studies and consumer testimonials suggest that CBD is the natural anti-anxiety agent that they have been looking for. One study conducted in 2011 showed great promise in CBD acting as an anti-anxiety substance. Within the study, a few dozen people with social anxiety disorder were asked to speak in front of a large audience. Half of the group was given CBD, and the other half were given a placebo. This was a “blind” procedure, so the participants in the study were unaware of which they had been given. After the speech was delivered by all subjects, researchers compared the anxiety levels in those who took CBD compared to those who took the placebo. The results showed that people who took CBD reported significantly less anxiety in comparison to those that were given the placebo. Furthermore, researchers stated that “CBD significantly reduced anxiety, cognitive impairment, and discomfort in their speech performance.” The placebo group reported that they experienced higher difficulty in giving the speech, due to high anxiety and discomfort. Accumulating evidence from clinical research and consumer experience indicates that CBD contains powerful anti-anxiety properties. It is advised that those looking to try CBD to rid their anxiety take the cannabinoid “as needed,” as it appears as a perfectly safe option, with little to no side effects. Researchers that suggest that CBD could be used to treat anxiety are taking a closer look at the relationship between CBD and other disorders. Those suffering from disorders such as Panic disorder, Obsessive Compulsive Disorder (OCD), Social Phobias, Post-Traumatic Stress Disorder (PTSD), Generalized anxiety disorder (GAD), and mild to moderate depression may be able to use CBD as a potential remedy. How Does CBD Relieve Anxiety? Without getting too technical, we will explain how CBD affects us after use. The cannabinoid exerts several actions in the brain that explain why it could be effective in treating anxiety and other disorders. CBD has potential to be an effective treatment for anxiety due to the way it works with the systems in the human body. CBD may boost serotonin signaling through receptors in a similar way to antidepressant medications such as Prozac and Zoloft. Overall, this would help the brain produce more serotonin. Serotonin is a neurotransmitter in the brain with numerous biological functions such as learning, memory, cognition, and many other physiological processes. In addition to these functions, it has a popular image as a contributor to feelings of well being and happiness. At the core of CBD’s anxiolytic magic is the Endocannabinoid System (ECS), an essential system in the body that helps maintain homeostasis in the body. Homeostasis is the tendency to maintain internal stability in the body. When CBD is consumed, it interacts with CB1 and CB2, two of the endocannabinoid system’s prominent receptors related to mood and brain function. CBD also interacts with the serotonin receptor 5HT1-A, which could explain its anxiety inhibiting effects. Within this study, a small group of patients with generalized social anxiety were given CBD. After consumption, the participants reported a significant decrease in anxiety. These claims were validated when researchers performed brain scans on the subjects, revealing cerebral blood flow patterns consistent with anti-anxiety effects. CBD has proven itself through clinical trials to help reduce symptoms of anxiety. CBD is known to promote neurogenesis and may aid in the growth and development of nervous tissue. CBD is non-psychoactive and will not produce the “high” people get from cannabis. CBD’s use as an anxiety treatment shows promise for its ability to help other disorders. Daintri is one of the leading online suppliers of CBD products. We offer an extensive range of curated CBD products that have passed strict quality and safety tests. These products are made with the finest ingredients to deliver optimal results. Daintri offers a variety of CBD products that can help with anxiety including CBD oil, edibles, vapes, tinctures, beauty products, and more. Next post: How Do You Take CBD?